Relocating to a new house is stressful enough without having to worry about the logistics of an entire move. So when it comes to the heavy-lifting (literally), leave it to the professionals — professional movers, that is. Experienced Houston, TX moving companies consist of expert movers and packers who can efficiently pack, move and assemble your Houston belongings to ensure that you get off to a good start in your new home! There are many reasons why you should choose our company to move your home. Let’s start with the fact we have an experienced team of movers that can disassemble, protect and move your items all the while protecting the floors and walls of your old and new home. When you use us for your move, it is with a proud local Houston business that you are working with. We call you 24 hours before the move, during the move and after the move to make sure that we are working up to your expectations. The owner of our company is on each and every job to make sure that our standards are being met one job at a time. We are Houston's most affordable moving company. We have rates as low as $79 per hour with 2 men and a truck included. We are a family owned and operated business. We are 100% insured and licensed with the Texas DMV. 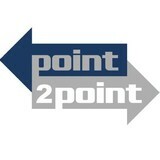 Point2Point, a Texas-based last-mile logistics business specializing in the quality transportation of home goods through moving and distribution. A better home delivery is a 5 star google rated Home delivery and moving company. We are a preferred 3rd party delivery company for major furniture retailers. We provide expert moving and assembly with convenient booking methods and excellent customer service. Hercules Movers & Packers Inc.
Our mission is to be the best at what we do. To bring the highest quality of moving services with zero damages during the move and no hidden fees. Most people might say it’s not possible, but they haven’t met the seasoned professionals at Hercules Movers & Packers. We take the stress out of moving because our crews do this for a living every single day. We treat you, your family and your business just like our own family. We take care of your belongings by making sure every box we load is properly secured, every piece of furniture is wrapped and protected and the stress and headaches are all on our shoulders. Go with the safe bet and hire Hercules Movers & Packers - the current local market leader. Our storage and packing solutions at Hercules Movers & Packers provide an extra level of support for all of our customers. In addition, we understand that moving local can often require extra storage that’s why we offer to all our customers 7 days free storage. We pride ourselves on being the best professional moving company in Texas. We also believe in great customer service and creating long lasting relationships with our customers. We don't just pack we impact. We also like to Muv it, Muv it! Family owned and operated full service moving company for residential and commercial customers locally and statewide. Free local in home estimates. Pack/unpack, move, & move out cleaning. Licensed and insured for your protection. Various truck sizes for any job, big or small. Flexible scheduling. No Hidden fees. 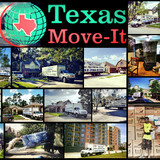 We are fast, friendly, and fully functional, our professional Moving Company is well renowned throughout the Katy area. Our team is up for every job, managing projects with the skill and experience our clients have come to expect. We always stand behind our work, with customer satisfaction being our #1 priority. 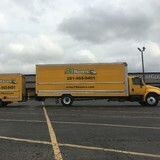 Movers You Can Count On Get Moved Today has some of the best movers that you will find anywhere. We have over five years of experience in the moving industry and understand what it’s like to need to find qualified movers. We train all of our movers on our own to ensure they do not have any bad habits left in them from working with other moving companies. Finding movers has gotten easier because we move where our clients move and we have the best materials that the moving industry offers. Movers Work in Many Areas We have movers that are very familiar with moving in and out of tight spaces. Whether a family lives on the ground floor or the penthouse, experienced movers will know how to navigate through the spaces to get the furniture safely onto the truck and into the new home. Our movers are all too familiar with the demands of moving. We are able to move people to anywhere in the state of Texas. There’s no reason to search for another moving company because we are able to do it all. Customers will see that our movers in Houston Texas are very professional and friendly. They will help to move things efficiently in and out of the home and the truck so that people can be moved out of their old place and into their new place in no time at all. We are even able to move customers within one day to anywhere along the East Coast. 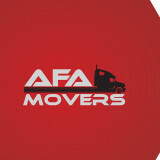 Movers Work with the Best Materials We feature some of the best trucks in our fleet. This includes well-maintained engines as well as a new padding system that keeps all belongings as safe as possible during transit. Shift might happen, but we take the precautions to ensure there is no damage to any furniture or other belongings. Our movers in and all around are more than happy to show customers how they can benefit from our many services. We offer packing services as well as the best boxes and packing supplies that the industry has to offer. With quality boxes, customers can pack their own boxes or we will pack them. Either way, the sturdiness of the boxes will make it through the duration of the move without complications. Local Houston moving, packing, loading and delivery services for apartments, homes, and offices at great rates in Houston, Texas. Our business is our livelihood but it is also so much more. 367-Move was started to fill in a void in the current market and to make a business that people can place their trust in. Over the years we have never lost our commitment to our clients and that is what has allowed us to succeed in a very competitive industry. The employees of 367-Move stand committed to our purpose and will provide the best service! Premier Houston movers, A Better Tripp® Moving & Storage are known for high quality moving and storage services at a fair price. Our local troupe of uniformed, trained movers cater to the care and handling of household goods, antiques and fine furniture throughout the Houston area, Texas, and nationwide. Full service local, small and nationwide moving include packing, crating, and transportation for any size residential home or office. Furthermore, we are a nationally recognized mover in Houston, TX and long distance movers that can service your move to or from any state, nationwide. We offer local Houston moving services but also have the unique capability to move small shipments cross country on a time sensitive schedule. In addition, we have no minimum weight requirements. By law, Texas moving companies must be licensed with the TxDMV. If you hire one that isn't, you could risk losing your belongings. So choose your moving company carefully. We are fully Bonded, Licensed and Insured to assure you the best possible move in Texas. Call the Top Houston Mover Today at (713) 266-8348 or email for a no obligation moving estimate today.